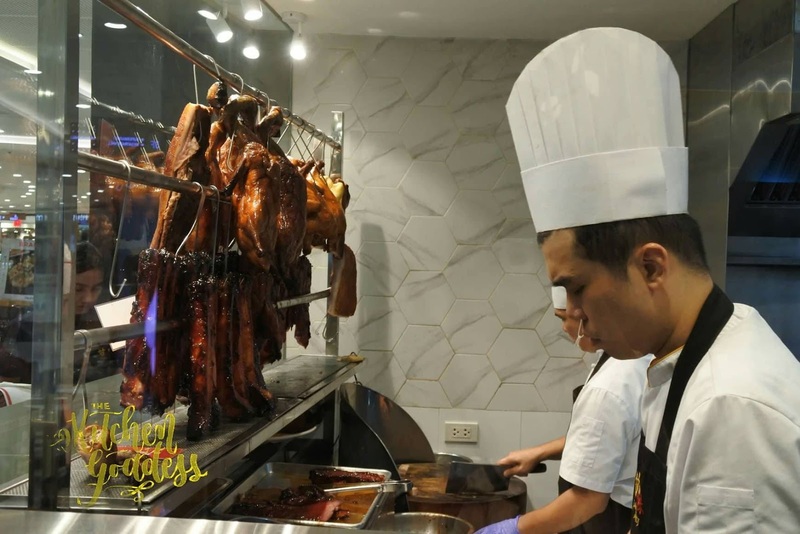 Kam's Roast is one of the latest Michelin starred restaurant to open here in the country. It hails from Wan Chai in Hong Kong. And with the Filipinos penchant for good food, its not surprising that the restaurant is always full since it opened its doors last summer. 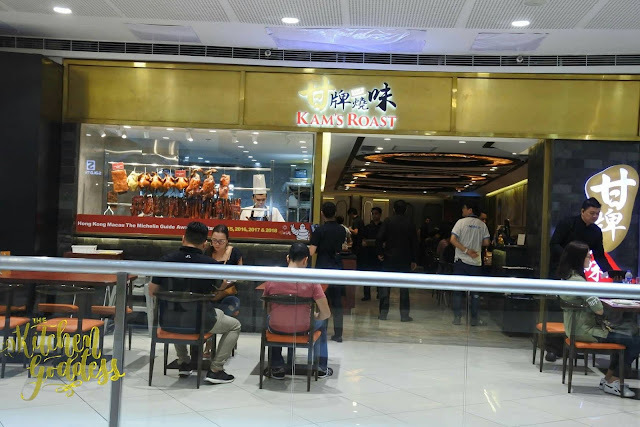 I got to dine at Kam's Roast Philippines thanks to #EatMega #AweSMFeast food crawl that we did last month - AweSMFeast Foo Crawl. 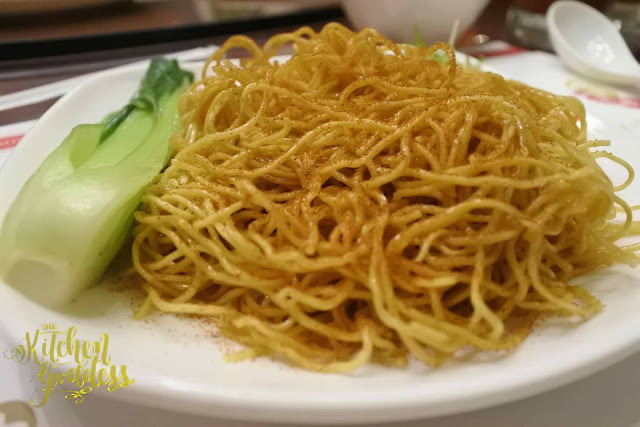 Braised Noodles with Shrimp Roe. I love noodles and this one here is not that difficult to like. Added bonus is the shrimp roe which gives flavors to the otherwise plain noodles. 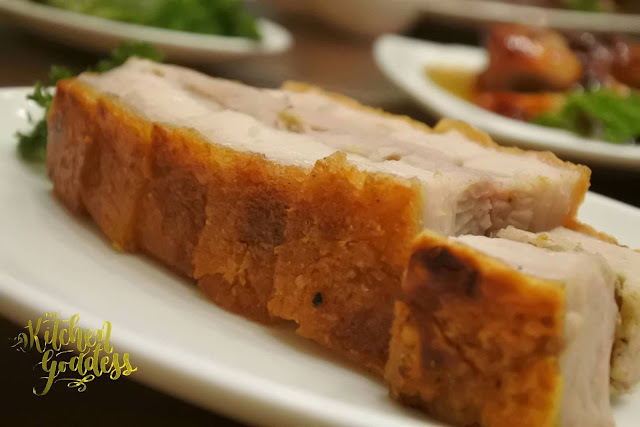 Crispy Roast Pork. Really good and crispy. Best paired with rice or braised noodles, and some hoisin sauce. We also had the Toro Char Siu but I forgot to take photo. 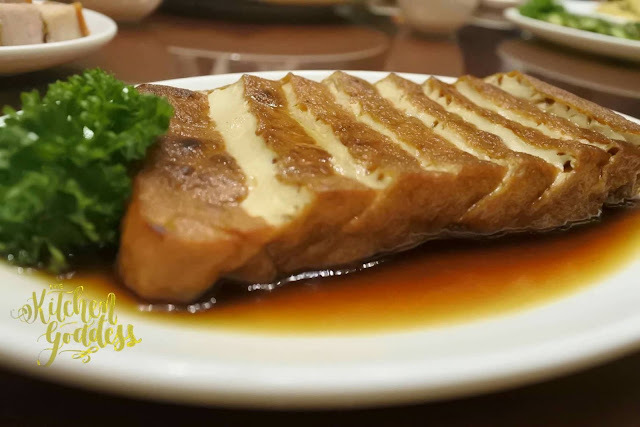 Marinated Tofu. This is equally delicious as the crispy pork and light on the tummy, too. I can eat a whole serving of this. Another equally yummy appetizer is the Marinated Cucumbers. Marinated Duck Wings. I have a love-hate relationship with duck so I didn't try this. Soya Chicken. 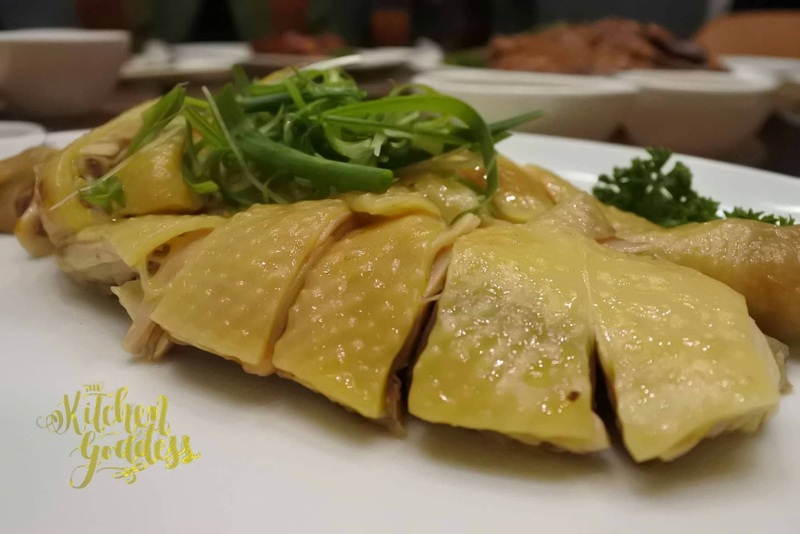 I've been craving for Hainanese Chicken Rice ever since I came home from Singapore a month ago and this Soya Chicken is a nice and fitting distraction. Roast Duck, the piece de resistance! 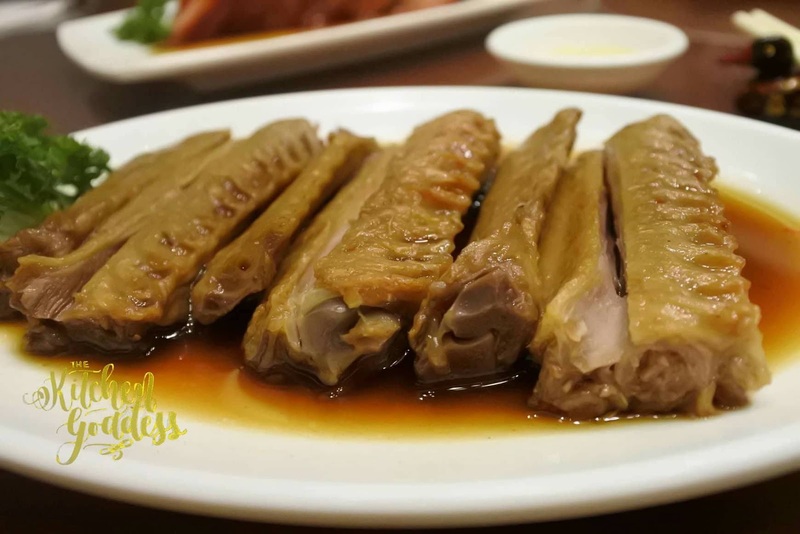 This is a whole serving of duck. 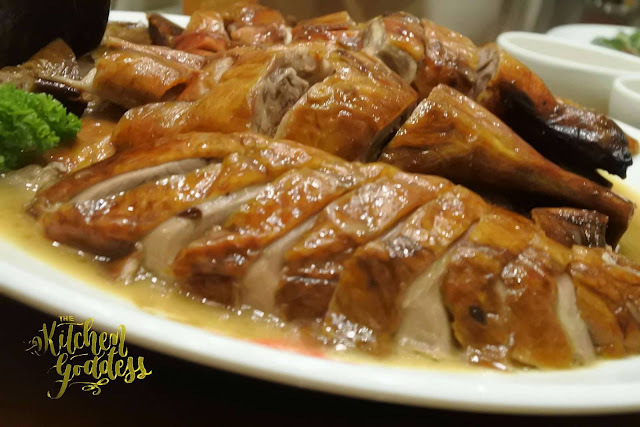 Just look at that glistening duck, its so mouthwatering. Had we not tasted the other dishes, I'd be eating tons of this.